Christmas ornaments are great holiday decorations in winter. 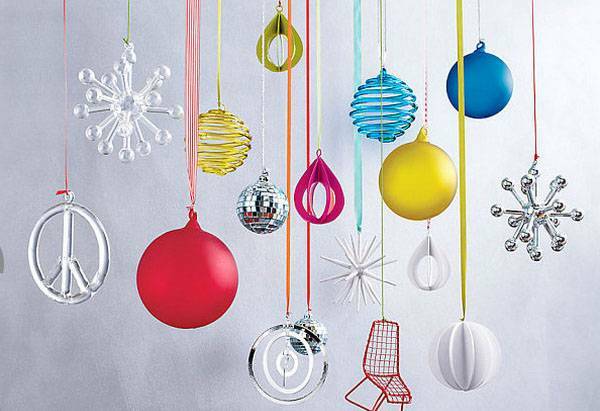 Colorful and bright, Christmas ornaments can be creatively used as winter window decorations, giving a festive look to New Years Eve party and all special events in winter. 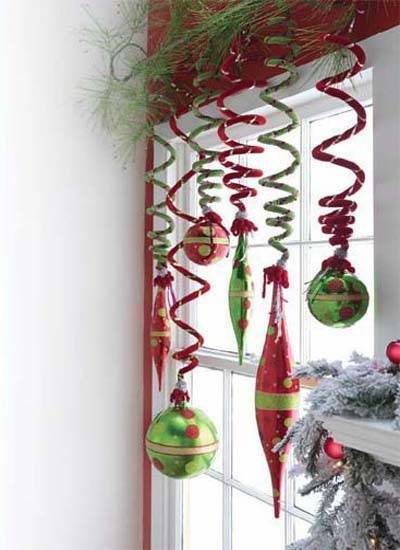 Lushome created an inspiring collections of window decorating ideas that reuse and recycle green branches and Christmas ornaments and create spectacular window displays. 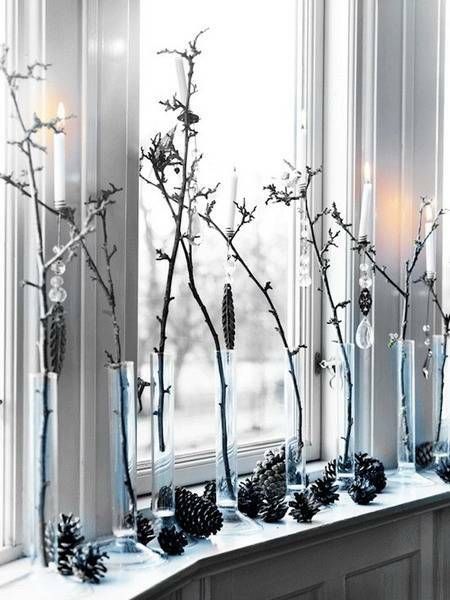 Winter window decorating ideas are fun, simple and quick. 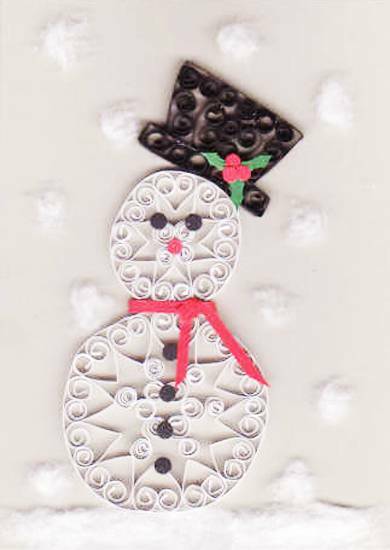 There is always many Christmas ornaments left ofter Christmas that can make gorgeous winter holiday decorations for New Years Eve party. 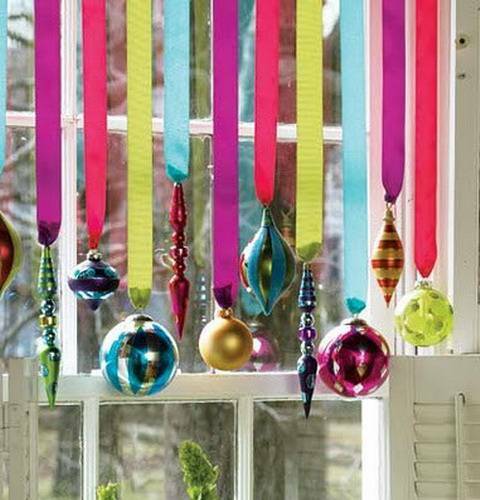 Christmas tree decorations and string lights, paper crafts and candles centerpieces are perfect window decorations that add color and glow to New Years Eve. 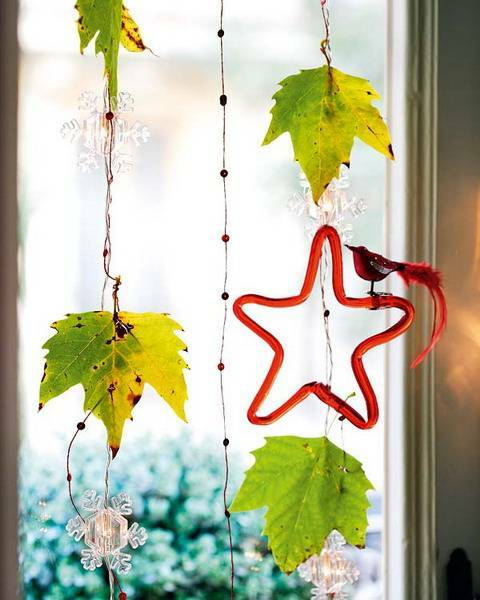 Snowflakes and stars, hearts decorations and Christmas balls, green branches and ribbons can brighten up interior windows and add unique look to New Years Eve party decor. 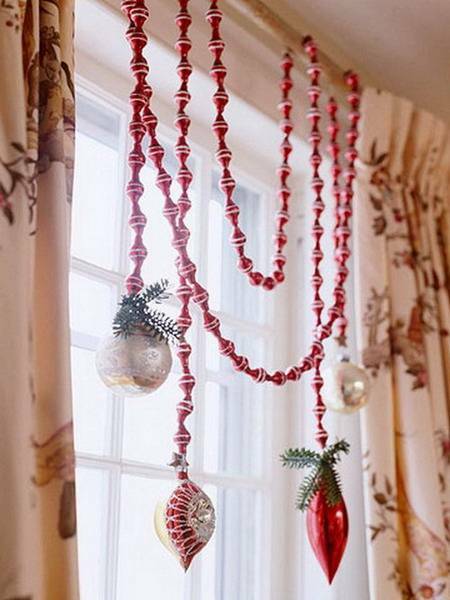 Creative ways to reuse and recycle Christmas ornaments for all winter holiday decorations help save money while allowing to experiment with fresh window decorating ideas. 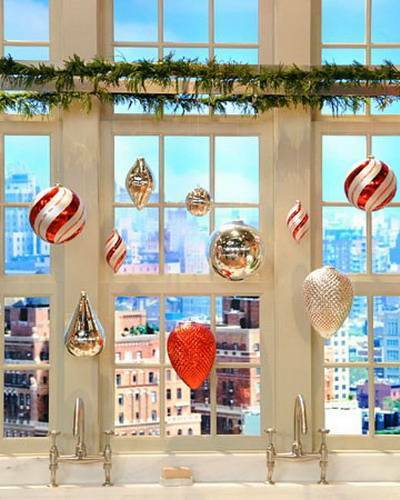 Using Christmas ornaments and holiday accents as interior window decorations is a bright way to make winter holidays colorful, long and memorable. 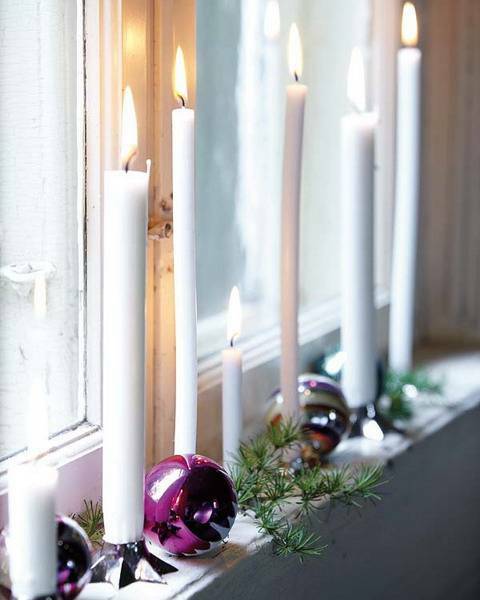 Do not throw those old and new Christmas ornaments out after Christmas even if you do not have enough storage space to keep them. 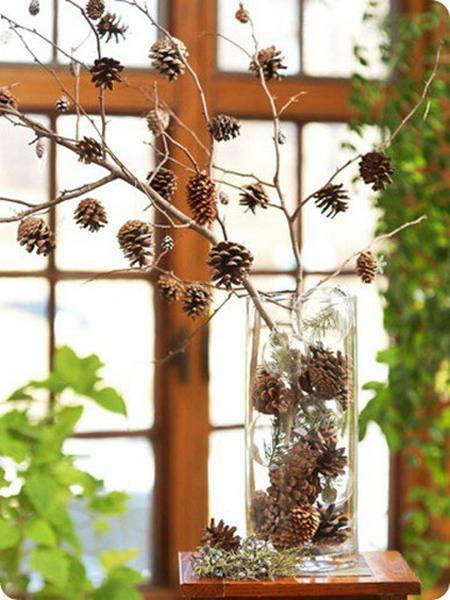 Reuse and recycle them for window decorations and enjoy beautiful and personalized winter decorating ideas during the cold season. 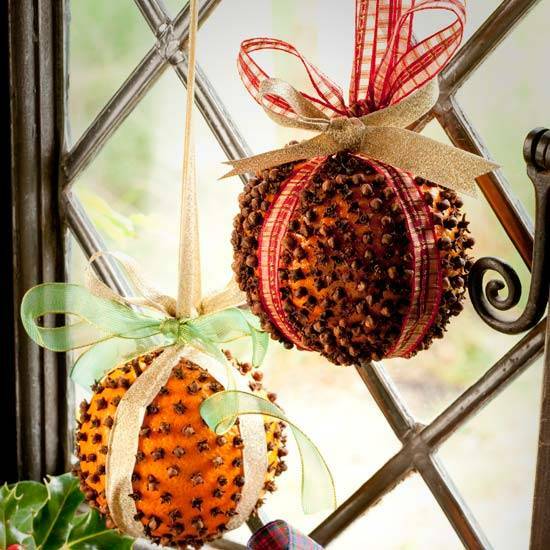 Old Christmas ornaments can be recycled for any holiday decorations, but they look especially spectacular on holiday tables, chandeliers and interior windows. 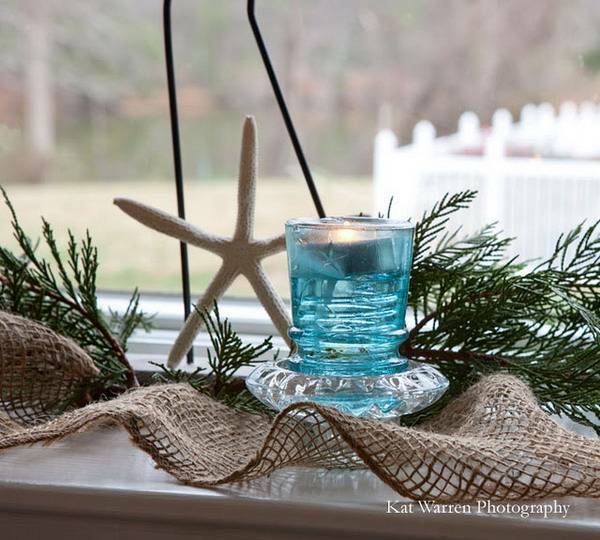 There are many different ways that you can incorporate them into your winter decoration after Christmas, adding fun, shine and bold colors to New Years Eve party decor, birthday and Valentine’s Day decor. 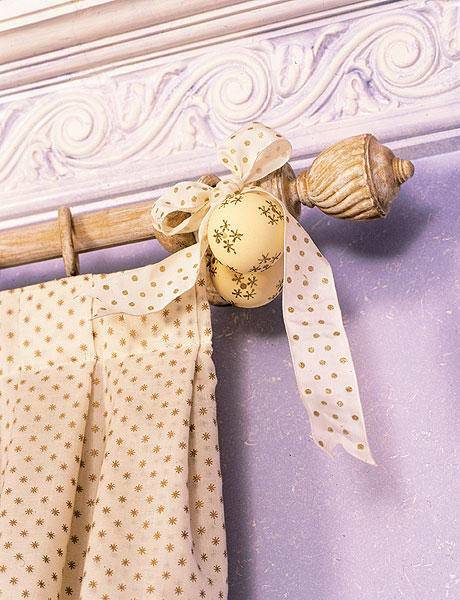 Sorting Christmas ornaments by color and hanging them on ribbons or creating unusual table centerpieces with different items are creative ways to reuse and recycle Christmas decorations while enjoying simple and novel ideas that add character and unique look to your winter events. 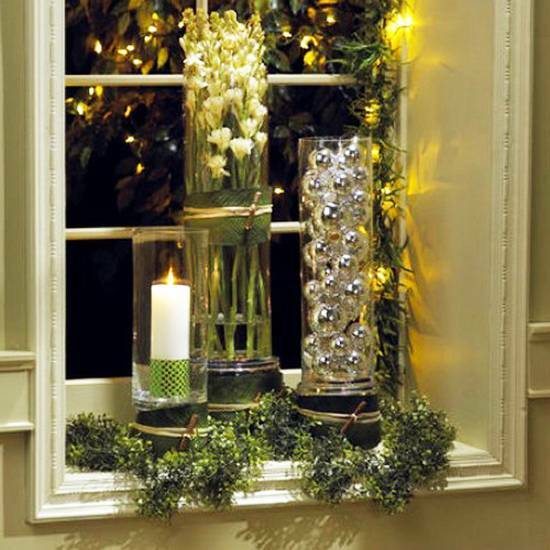 Christmas ornaments make wonderful vases that look fabulous with fresh flowers and green branches. Paper crafts and Christmas ornaments create stunning displays, adding the season themed accents to holiday tables centerpieces and window decorations. 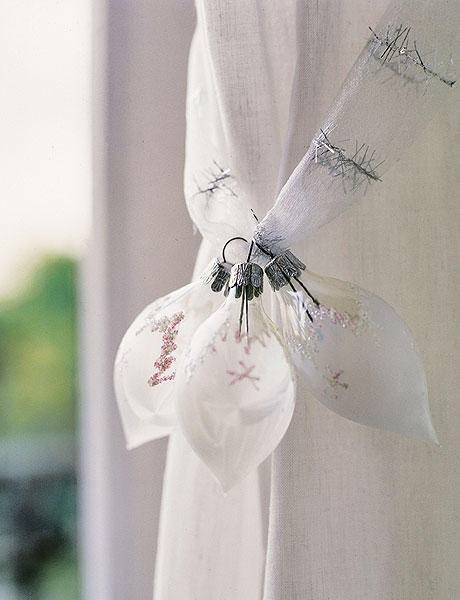 Recycling Christmas ornaments for window decorations add unique charm to your winter party decor and set festive mood in your home. 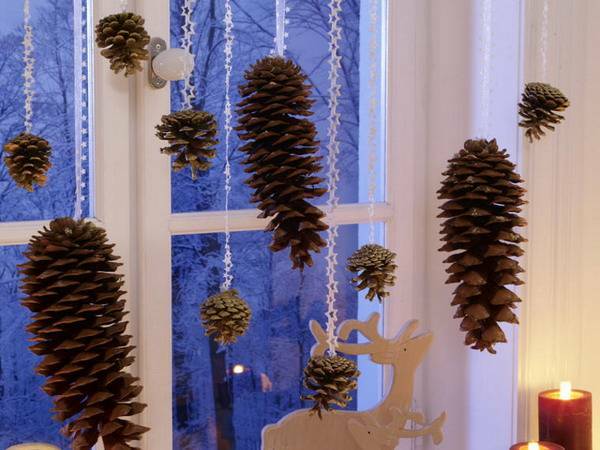 Pine cones and branches, greenery and indoor plants, candles and winter themed paper crafts look spectacular with Christmas ornaments. 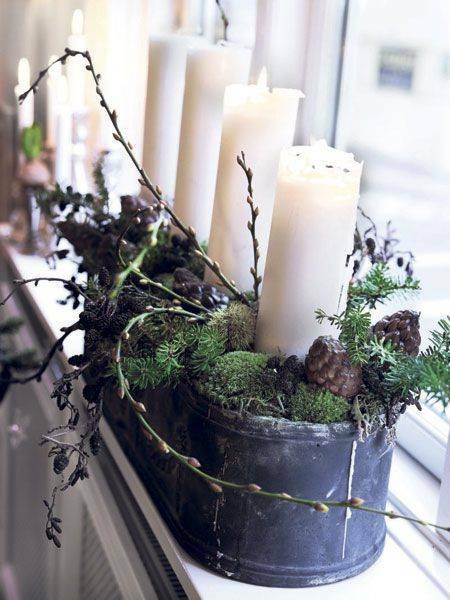 All you need for beautiful window decorating is wooden or paper crafts, green branches, candles and old Christmas ornaments that you love. 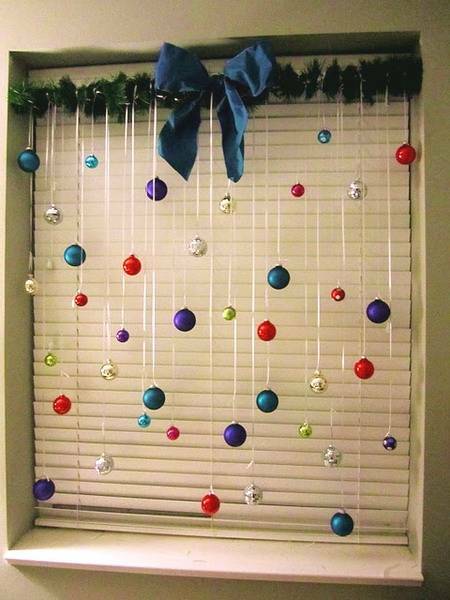 There are many gorgeous window decorating ideas that can reuse and recycle Christmas ornaments for New Years Eve party or any other special occasion in winter. 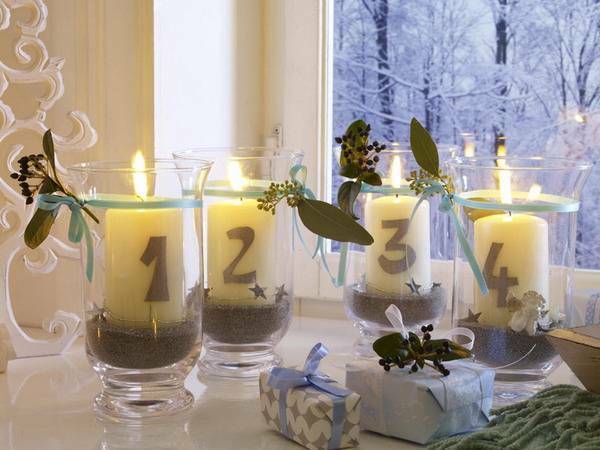 These simple decorating ideas are perfect for last minute decorating and stress free holidays. 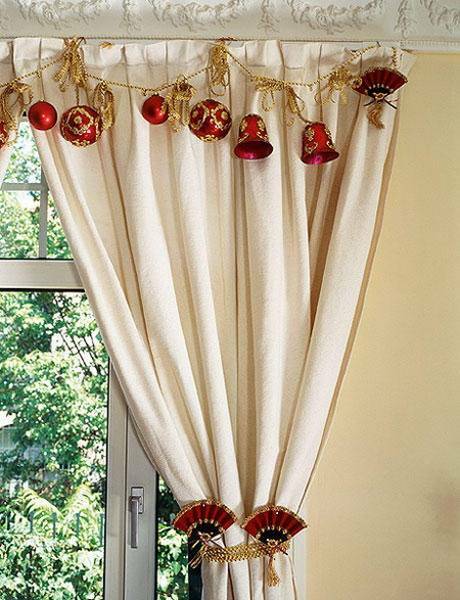 Imagine how beautiful a window curtain looks with Christmas ornaments, and add your favorite holiday decorations to your interior windows, creating fabulous decor for New Years Eve party this winter. 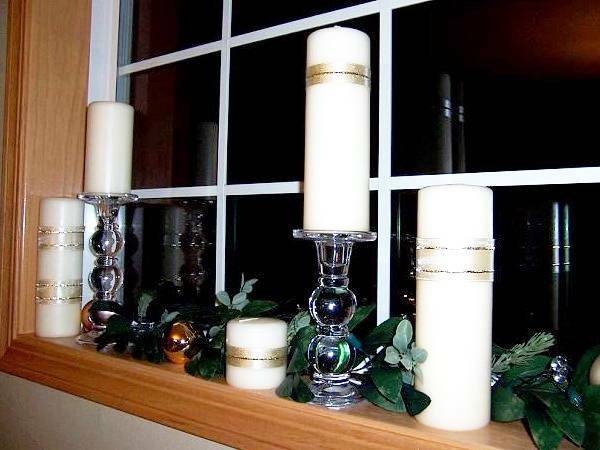 Lushome shares the collection of bright, simple and inexpensive window decorating ideas to inspire you to create beautiful, surprising and interesting decor for your New Years Eve party, reuse and recycle Christmas ornaments and green branches and enjoy attractive window decorations all winter long.